When I make stock for stew, stir fried vegetables, or japchae, I always use dried shiitake mushrooms. They are common in Asian cuisine so you can also find these in Chinatown or any other Asian grocery store. Posted on Friday, February 29th, 2008 at 9:10 pm. Last updated on May 1, 2017. Posted July 5th, 2009 at 6:02 am | Log in to reply. i bought shitake mushroom in can, can i use it for bibimbap, instead of the dried one? well, if not i’d better look for dried shitake mushrooms then. Posted July 5th, 2009 at 8:38 am | Log in to reply. 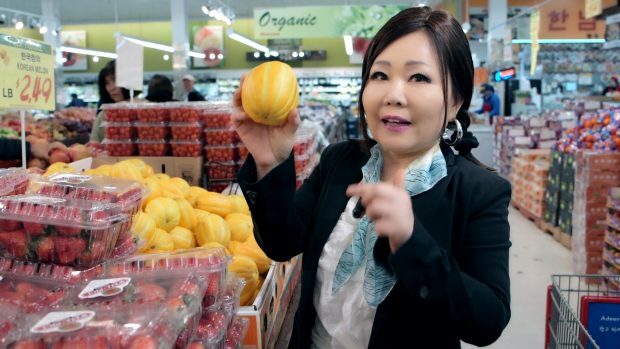 Yes, you can.For bibimbap, you can use either dried shiitake mushrooms or fresh mushrooms. I have never used canned shiitake mushrooms, but I am sure it will be ok. Good luck with making delicious bibimbap! Posted June 24th, 2009 at 2:48 am | Log in to reply. Posted June 24th, 2009 at 5:53 am | Log in to reply. Type “shiitake mushrooms” in the search box on this page, then you will see all the recipes that I have used shiitake mushrooms. Posted May 25th, 2009 at 3:30 am | Log in to reply. Can i use fresh shitake mushrooms, what is the diference? Posted May 25th, 2009 at 7:13 am | Log in to reply. What kind of dish are you going to make? It depends on what you make. If you like to make delicious stock, you must use dried shiitake mushrooms and if you like to make stir-fried japchae, you could use either dried shiitake mushrooms or fresh mushrooms. Posted May 7th, 2009 at 10:56 am | Log in to reply. I always keep a bowl of water in my fridge with some dried shi-take mushrooms in it, so i can use it right away any time i want. and they are really soft when i use them, including the stem. Posted August 7th, 2008 at 1:29 pm | Log in to reply. i love this website and your recipes!!!!!!! Posted August 6th, 2008 at 9:20 pm | Log in to reply. Did you boil them more than 10 minutes by following my recipe? Anyway, some dried shitake mushrooms are too dried out to get soft. You may have to soak the dried shitake mushrooms in warm water for a few hours before using them. Posted August 6th, 2008 at 6:58 pm | Log in to reply. i just made some soon du bu and all was delicious but one thing. The shiitake mushrooms. My question for this ingriedient should they be really chewy and hard after boiling so long and saute with the red pepper flakes.? how should shiitake be with any dish. i really wanted to have a full experience with the soon du bu. But i had to take out the shiitake they were too hard.!!!! Next time i will succeed…. hopefully. Posted June 20th, 2008 at 3:25 pm | Log in to reply. I’m sorry to hear about your shiitake mushrooms that smells like formaldahyde aroma and taste! It must be something wrong. I think you should throw them away. Good shiitake mushrooms smell really good and the taste is like some meat when it is marinated with bulgogi sauce (soy sauce, sugar, garlic, and sesame oil). For which dish were you going to use shiitake mushrooms? If it is for bibimbap or mandu, you can replace it with other mushrooms such as white mushrooms. 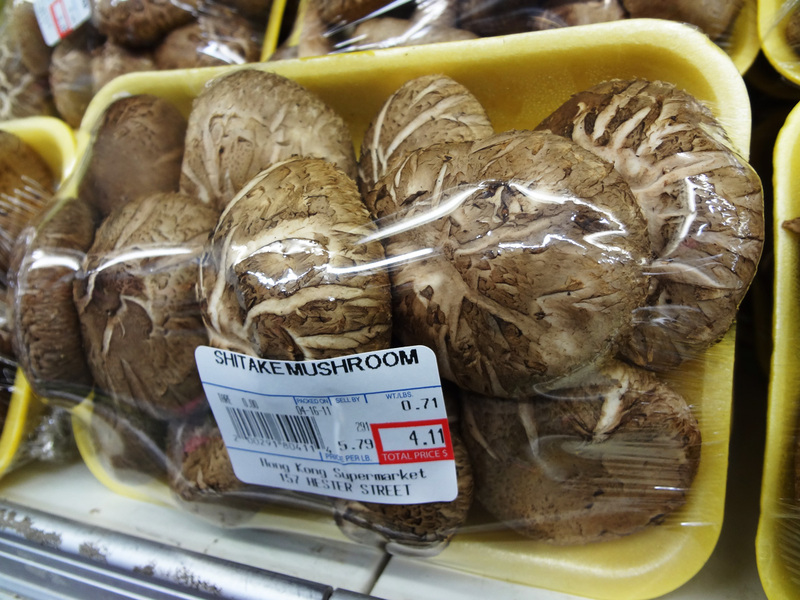 If it is for stock for soon du bu, we usually have to use dried shiitake mushrooms, but yours is not good, so skip it. You still can make good stock by using dried anchovies and dried kelp. Posted June 20th, 2008 at 3:10 am | Log in to reply. I’ve tried the dried shiitake mushrooms but didn’t like them. I don’t know if it was the brand I used but they had a very strong formaldahyde aroma and taste. Reminded me of the time we dissected frogs in high school science class. Is this normal? If so, is there anything I can do to lessen the aroma and taste or substitute another type of mushroom?